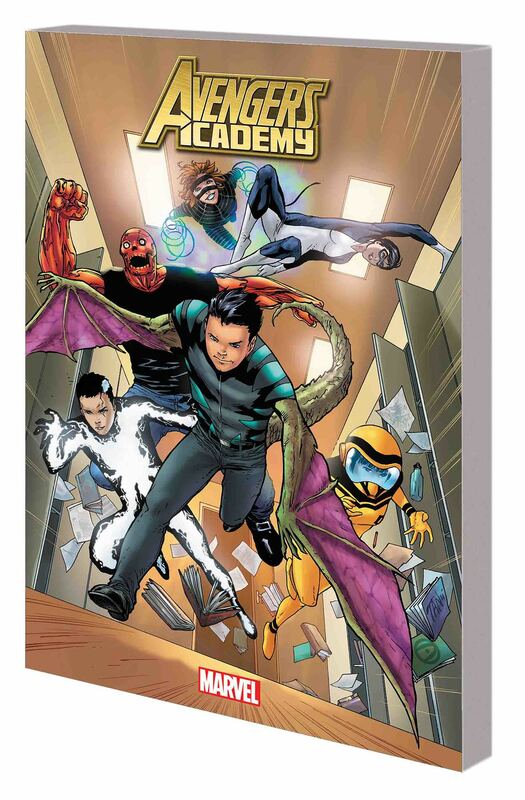 The Avengers Academy faces fear itself! No, not prom night - though they'll have to survive that, too, when the Sinister Six crashes the party! We mean FEAR ITSELF, as the Serpent's army assaults the Marvel Universe, and the squad must battle possessed, hammer-wielding versions of Titania and the Absorbing Man! Meanwhile, as Speedball returns to the scene of his greatest failure, can he rally the town of Stamford against the Serpent and finally earn forgiveness from its people - and himself? Plus: The students get schooled by a substitute teacher - the Amazing Spider-Man - but their lesson is interrupted by Psycho-Man! And as Hank Pym relocates the Academy to California, the campus comes under attack by...the West Coast Avengers?! Collecting AVENGERS ACADEMY #13-20 and #14.1, and material from AMAZING SPIDER-MAN (1999) #661-662, FEAR ITSELF: THE HOME FRONT #1-7 and AVENGERS: SOLO #1-5.